Beatrix Potter, Tarns, National Trust attractions and Good Life Lake District Cottages…. 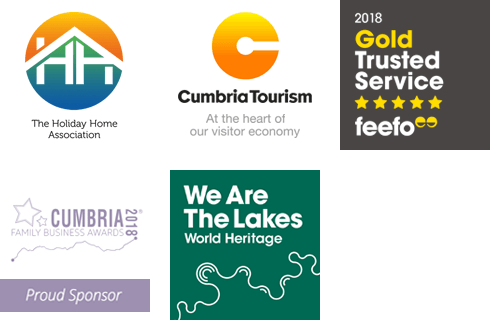 you’ll find all of these in the area of Hawkshead.Hawkshead is steeped in history, making it a popular holiday destination in the Lake District. Some of the thirty-eight buildings of architectural or historic interest in Hawkshead include St Michael’s & All Angels church, Market Place, The Spout House and the Methodist Chapel. For the younger members of your group there is plenty of Beatrix Potter attractions to enjoy, including Beatrix’s own farm Hill Top, a gallery of her work and nature trail along the shores of Esthwaite water. The National Trust Wray Castle is a must with the children too! Set in the vale of Esthwaite there is plenty of beautiful walking in all directions and with Grizedale Forest and Tarn Hows nearby you will have miles of footpaths to tread. Outdoorsy types will be kept busy too; you could hire bikes, rowing boats or go fishing. If you are looking to relax during your Lake District holiday make sure you enjoy a glass of wine at The Drunken Duck Inn, Queens Head or the Tower Bank Arms or have a picnic at Claife Viewing Station. Nestled in the heart of the Lake District National Park, Outgate is a secluded hideaway in one of the most visited national parks in the United Kingdom. You'll be sure to find true respite and relaxation at one of our self-catering cottages in the area listed below. For many, the Lake District is one big adventure park, with summits to conquer, lakes and rivers to splash around in, and cycle trails to race around. Despite such hastiness, one can never disregard its vast panoramas and superb scenery. Even still, some might want to enjoy the Lakes at a considerably more relaxed pace and Outgate is definitely the place for that as it is slightly off the beaten path. Don't let that put you off though, it is still well-connected to the more popular destinations. Hawkshead is only five minutes by car, or roughly half-an-hour by foot, with the North Fen nature reserve on Esthwaite Water just a bit further away. Further south from Hawkshead is the Grizedale Forest Park, with gentle walking routes lined with some 90-odd sculptures that perfectly complement the beauty of the woodland. To the west is Coniston, where you'll find the somewhat calmer lake of Coniston Water, you're sure to find a secret spot to relax in and take in the beauty of the Lakes without interruption. For a trip to with stunning views along the way, head over to the Langdale valleys where great rivers have carved out deep valleys through the rocky mountains. So, for true seclusion in the heart of the UK's second oldest national park, head to Outgate for a secret hideaway that's well-connected and central to the popular areas and features of the Lake District. If you choose one of our lovely self-catering holiday cottages you will be able to enjoy either of these lovely areas. For more information about our Lake District holiday cottages give us a call on 015394 37417 or email us at stay@thegoodlifecottageco.co.uk. Langdale Way is a homely and well equipped first floor apartment for two people with stunning views from it's own private balcony.